Greenville, SC – In the south of England lies the sleepy beach town of Bournemouth. A town currently riding high on the success of local club AFC Bournemouth. The tiniest of Premier League clubs, with its home stadium of Dean Court which host only 11,000, has managed to stay in the league three years and counting. This beach vacation spot is home to a player that has endeared himself to the Greenville faithful. 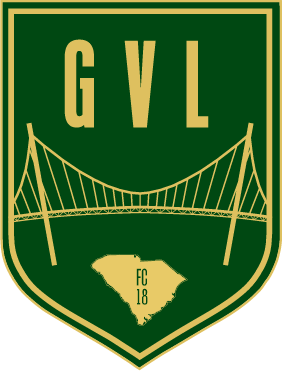 For Greenville FC, Jack Hoey has been a leader in the midfield in Greenville’s first season and is fast becoming a fan favorite. 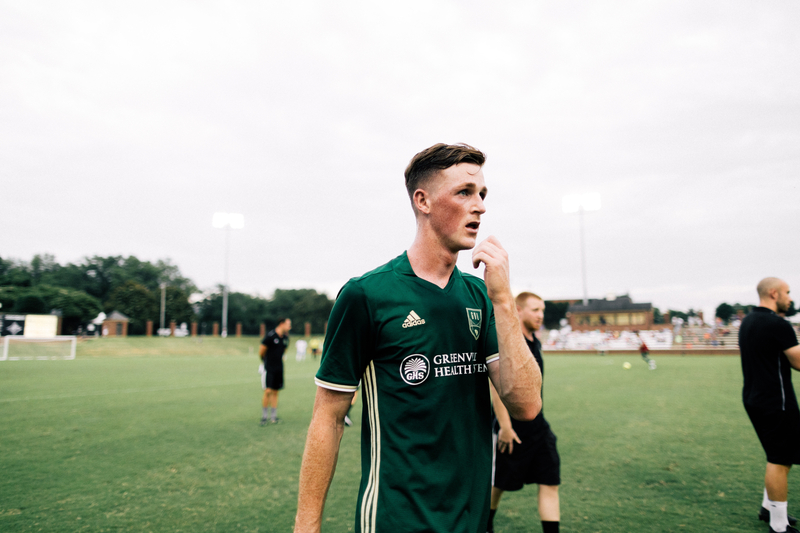 Walking into Eugene Stone Soccer Stadium to see Greenville FC play its hard to miss what Jack Hoey does that makes him stand out. He may not show up on the score sheet, but his impact is felt nonetheless. Running back to make perfectly timed tackles, directing passes from the midfield, finding forward running wingers and strikers. He’s a green Steven Gerrard. As a soccer novice it is exciting watching Jack pluck a ball out from under the legs of a defender using his slide tackle ability, get up and press the opposing team for a counter-attack. Growing up Jack played in the youth system at AFC Bournemouth until at age 16 he went to Brockenhurst College where he won two national championships. “America never was something that I thought about,” says Jack, “but it got offered to me and I thought the worst-case scenario would be I would go out and get my degree, enjoy life and grow as a person.” Jack started his American tale in Burlington, New Jersey where he played Junior College before transferring to Gardner-Webb in North Carolina who play in the Big South Conference. Last season Jack received honorable mention for All-Conference. “Had a good year,” Jack recalls, “hopefully next year we can make a challenge for the conference.” From here Jack came to Greenville FC.